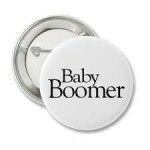 If you were born between 1946-1964, you are part of the Baby Boomer generation. Your age bracket (47-65) represents 77.6 million of all Americans and is growing as an overall percentage of our population. The weakened economy has forced many boomers to re-evaluate their financial situations, and in many cases, their careers. It is not unusual that many Boomers are faced with one of more of the following situations. Chances are that if you are transitioning out of corporate life, there was always a technology support group available a phone call away. On your own, finding the right resource to replace that support can be quite challenging. As a former corporate executive, I understand your needs. My clients include many boomers faced with similar concerns regarding their technology needs. If you are facing any of the issues listed above, of have any other technology issues that you would like to discuss, give me a call at 917 921-4518 or e-mail me at jblue@bluetutor.com.